The Comic Day Festival (Dia del Comic Festival), the largest event of its kind in Latin America, is back in Lima in its 9th edition in May. The Comic Day Festival, which was started to encourage young people to read and to promote the local artistic scene, was held in 2011 for the first time. Since then it developed into the biggest and most anticipated cultural event for all lovers of comics and pop culture of all ages and today is the place for artists, publishers and fans to meet, interlink, exchange views and experiences. Shops, where fans can buy a wide variety of comics, accessories, video games, actions, figures, theme-close, etc. Cultural center, art, design and animation schools as well as publisher will have stand as well. The 3-day event as well includes cosplay competitions for kids and adults, drawing workshops (manga and comic), lectures and talks, interviews with artists, live bands entertaining the crowds with music from the most favorite series and films, raffles, and many other fun activities. To promote and encourage local graphic talent the 2nd National Comic Competition 2019 is held. Find more info and how to participate on below mentioned website. 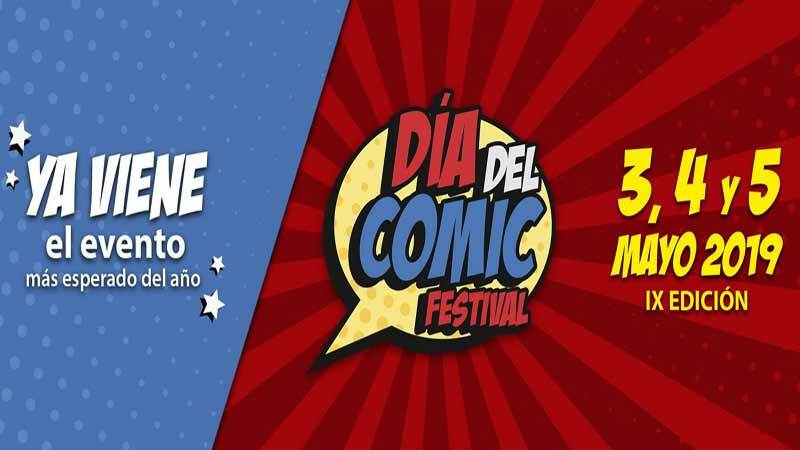 Organizers of the Comic Day Festival 2019 in Lima expect at least 80,000 visitors (that’s how many people took part last year), 50 national artists, numerous invited international artists including David Mazouz (Batman) and 100 exhibitors.